Just a few minutes' walk from the city's business and commercial centre. The Classic Hotel is located in the heart of the old city quarters of Nicosia and has been recently redesigned to blend perfectly with its environment. The hotel offers comfortable accommodation and a multitude of facilities. Our luxurious and spacious rooms are fully equipped with satellite TV channels, free fiber-optic internet connection, a mini bar and tea & coffee-making facilities in selected rooms. 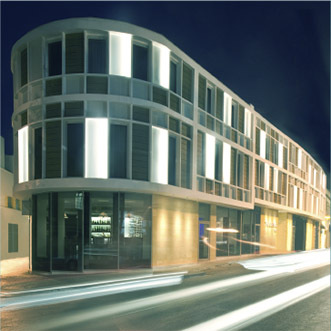 "The Classic Hotel is located in the old city quarters of Nicosia, right in the heart of the business!" The location of the hotel is in the heart of the city.The rooms are spacious and comfortable. Very clean and modern. Very nice restaurant.